This website provides an ongoing presence and communication for chapter members and others in the field of technical communication. This site identifies membership benefits, chapter information, educational resources, speakers' handouts and presentations, community service activities, and many more items of interest to the technical communicator and others interested in the field. It serves as a public relations tool for chapter members and others who want to know about events such as competitions, meetings, workshops, and seminars / webinars sponsored by the chapter and by the Society for Technical Communication. The chapter provides chapter members with networking tools such as the Events & News website; the monthly Announcements mailing list; and several social media groups such as LinkedIn, Facebook, and Twitter. Tools are provided for the technical communicator in the form of links to Web resources for developing technical materials, information about the career of technical communication, job announcements, ability to provide a resume to potential employers, ability to advertise your documentation company, and more. This archives website provides an historical platform and repository for chapter records, awards, honors and achievements, competition winners, photos, past presidents, and past events. Registration is not required to use this site. The site was initiated, designed, and coded by Cynthia A. Lockley. The website is maintained by the Website Team Committee. Website Team Committee Manager job description. Volunteers with HTML5, PHP7, CSS2 / CSS3, and WordPress.org experience are welcome to join the team. Contributors, Authors, and Guest Authors are encouraged to participate in the Events & News website. As of January 2016, the chapter's website uses the accessibility-designed Aaron theme with WordPress 4.9.8+, HTML5, CSS3, and PHP7+. The site is accessible for all users. 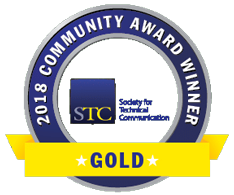 With suggestions from chapter members and others, the content of the site enhances the Society's stc.org website by containing information about technical communication and how to be a technical communicator. It encompasses some educational, instructional, and career guidance material that is not always found on other chapter websites. The entire site includes three WordPress CMS websites: the main site (WDCB), Competition, and Jobs Board; one WordPress blogging-format Events & News website. ; a flat-file archives site; and a WordPress blogging-format Development site for testing plugins and changes before using them in the production sites. Site awards are listed on the Site Awards page. in 2006, a separate Jobs Board site was created with WordPress in a subdomain of the website with the use of the WPJobBoard plugin. This allowed job seekers and employers to self-maintain their resumes and job announcements. In 2007, when chapter members wanted more interaction with the website and the ability to post articles, a WordPress blog was added to another subdomain of the website. A site manager was appointed to the blog who registered chapter members as authors or contributors. A handful of people wrote articles for the blog in the first years. Most of these posts did not generate comments so the amount of excited participation and interaction was much lower than expected. Most new authors wrote one article only. To facilitate more contributions, two forms were added to the website for people who did not want to register on the site: a form to submit an event and a form to submit an article. The input was sent to the site manager and the social media manager for review, edits, approval, and posting. We got one book report out of it. In 2009, the two WordPress subdomains broke out into standalone WordPress websites. One used the WPJobBoard plugin that ran a Jobs Board that employers and chapter job seekers could interact with and maintain resumes and job announcements for free. A second WordPress website, using the same theme, used a WordPress plugin, The Events Calendar, that provided an events calendar and ways to announce events. The blog was deactivated and combined with the events WordPress website for concurrent posts and comments about Events & News. The two forms for users to contribute to the Events & News website are under the "About the Events Site" navigation menu, in a menu item, "Contribute to Events & News". However, they are not widely publicized. Our Jobs Board was free for Washington, DC metropolitan area job seekers and employers but by 2013, chapter members stopped using the Jobs Board website to post their resumes and employers stopped posting job announcements to it. STC wanted all chapters to direct people to the Society's Careers website, which charges employers to post job announcements. The self-maintaining board was converted to a page of RSS feeds from various employment services and a page of additional local and national employment resources in an effort to supply some employment information to chapter members. Austin T. Brown high school technical writing scholarship (1962-2009). Shirley G. Carter college student essay awards (1991-2009). The professional technical communication competitions (1968-2012). The Archives pages were not converted to WordPress and are .shtml flat files. The past events information is useful to event planners to review what has been done and may be of interest for future events. The Accessibility Design and Features page describes the Document Type Designation (DTD), navigation, fonts, style sheets, colors, Web conventions, and other items used to make this site an enjoyable and useful experience for everyone. The following information is provided on the Accessibility Features page. 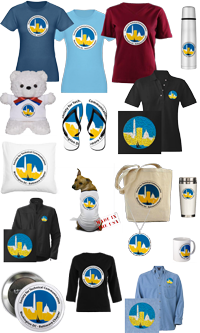 See the Chapter and STC Logo Graphics page for a variety of graphics you can use for adding links back to the Washington, DC – Baltimore (WDCB) Chapter pages in your site. Shop at Amazon.com and support the chapter's operating expenses through our association with the Amazon Associates Program! Books and other items purchased through links on this site, in the "Support Us: Shop Amazon" column in the footer, or on our archive lists of Reference Books, provide us with up to 8.5% of each sale. For more information about the program, see the FAQ: What is the Amazon Associates Program? Use one of the PayPal Donate buttons shown on the left to donate for events, competitions, website expenses, and operating expenses to pay by credit card on the website through PayPal. A PayPal Payments button, as shown on the right, is provided in Event Registration and other forms to make your payments. For information about how to use PayPal, see the PayPal FAQ. Some hypertext links may take you to Portable Document Format (PDF) files you can view in your Web browser. PDF file links are marked by by noting the size of the PDF with the.pdf file extension at the end of the link (250 KB .pdf). PDF files are extremely compact, platform-independent, and easy to create. They offer design control, print-ready documents, and an endless array of authoring applications. PDF is an extension of the Encapsulated PostScript format that allows hypertext linking. Some PDF files may contain hypertext links that take you to another location in the PDF file or to another Web page. The hypertext links are indicated by a hot spot in the PDF file where the cursor changes to a hand with a pointing finger. Use the Back button to return to previous pages in the Web browser or to return from the PDF viewer to the HTML viewer. If you can't view the PDF files or you get an error message, download and install the latest version of the FREE Acrobat® Reader™ plug-in for your browser: https://get.adobe.com/reader/otherversions/. Some PDF files are saved with accessibility and search capabilities for screen readers. The Acrobat Reader, full version has accessibility and search capabilities. See also Download Help for information about downloading PDFs and ZIP files. For information about disclaimers, opinions, product endorsements, and copyrights on this site, see our Legal information page.